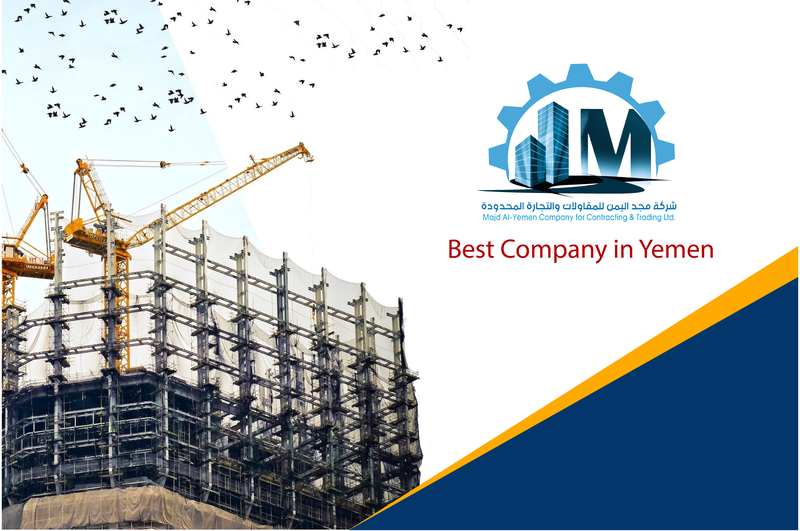 MAJD ALYEMEN,Is pleased to introduce itself as one of Yemen's leading growing suppliers of industrial equipment and services to heavy industry, utility providers and contractors. We are a specialist service company that caters to the exact requirements of clients using advanced technologies, talented teams of multi-disciplinary professionals, and best practice models and standards. We represent several International manufactures and service providers In Yemen. MAJD ALYEMEN, has a proven track record of experience in providing innovation and customer satisfaction across a wide variety of industries. Ranging from Small to large enterprises and corporations, we have extensive experience across the following sectors: industrial, mining, construction, oil & gas, agricultural, healthcare, hospitality, banking, military, and government contracts. Our "excellence through partnership" philosophy is based on the belief that all commercial relations must be based on trust and long-term mutual benefit. This applies to our clients, joint-venture partners and suppliers as much as it does to our relations with consultants. From the very beginning, MAJD ALYEMEN has been committed to providing only the best for our customers. Lots of companies speak of service, but we take a very different approach that we call Total Customer Care. It’s a benefit you get each time you contact us and it begins even before you buy. When you send your order with MAJD ALYMEN, you can count on our friendly, personal service from our team of customer service representatives who will answer your questions, process your order, advice you, discuss delivery options and tell you precisely how much shipping and insurance will cost. In the event that an item is not in stock, we'll even suggest an alternative (if one exists), or let you know when it’s scheduled to arrive. We can locate those hard to find items that are a must-have. Just ask us… we'll be happy to find it for you, order it and give you the best possible price. MAJD ALYEMEN, is committed to excellence in the oil and gas sector field. It is our continuing mission to serve our clients at all levels by helping them meet the demands of their profession in their work sectors which is why we feature a growing family of our special products, selected for durability and cost efficiency.